Home › Oil Tanker › Oil Tanker › Tanker 23000 › Tanker 8000 "King Fisher"
The Damen Tanker 8000, yard number 9393 ‘King Fisher’, was delivered to her owner De Opfeart on June 17, 2013. James Fisher Shipping Services from the UK is responsible for ship management. 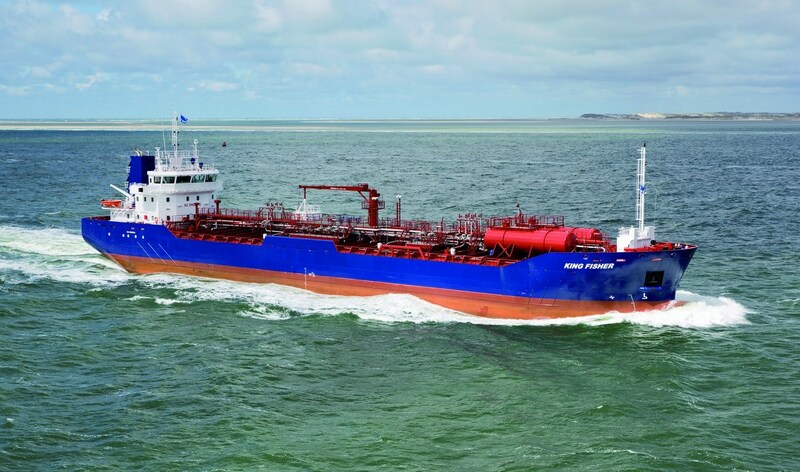 The vessel was christened by Petra Gaensbacher on June 20 at the Damen yard in Harlingen, the Netherlands.